UNDER THE SURFACE: lillhaugen.com contains a selection of images, created under the ocean surface by underwater photographer and journalist Lill Haugen. WORLD WIDE: The pictures are shot on different locations all over the world, from the murky fjords of Norway - to the colorful lagoons of the South Pacific islands. The images range from cold water kelp forests to tropical coral reefs, from tiny critters to big sharks, rays, turtles, sea snakes and marine mammals. 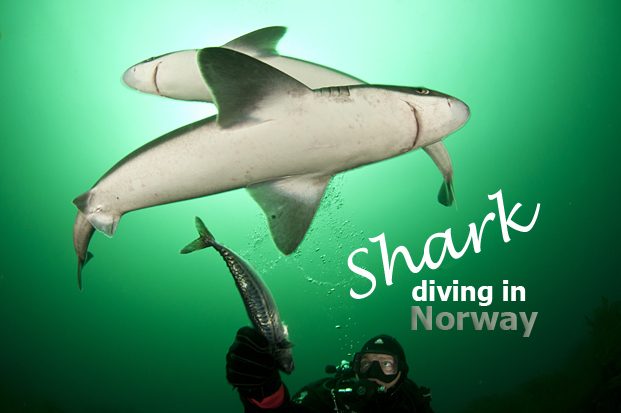 COLD WATER WINNER: I am very proud to find an image from our little green, muddy Norwegian fjord among the winners of the Ocean Art Competition 2015! 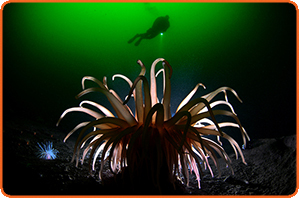 This cold water anemone is common in the cold, green waters of the Oslo fjord, at depths from 25 meters and below. RAJA AMPAT in Indonesia is one of the world's most pristine areas for diving, well reknowned for it's incredible biodiversity with the richest and most diverse coral reefs and ecosystems on our planet. 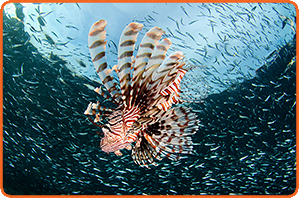 Raja Ampat has the world record for most fish seen on a single dive, 283 different species! 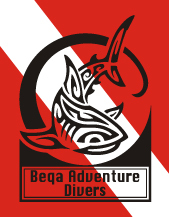 Thanks to the SMY Ondina, ne of the main sponspors of the winners of the Ocean Art Photo Competition 2014, for hosting us on this amazing dive trip.